Sweet baby Jesus the second I pulled this out of my bag and saw the colour I was IN LOVE. 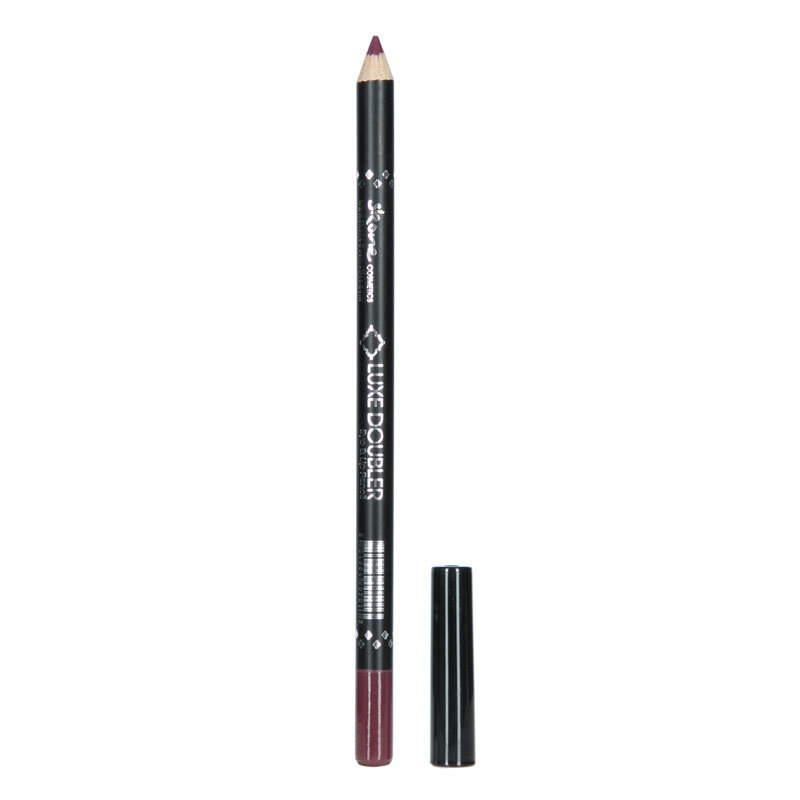 The Luxe Doubler Lip & Eyeliner in wine is the perfect fall accessory. As I have stated before, I love products that serve more than one purpose, so it is understandable as to why I would be such a huge fan of this. Packaging: Basic. Really basic, just a classic pencil type product with a wood base, black covering and coloured tip. Wear: VERY good. I have been mostly wearing this as a lip liner because I really love the shade for fall, but by the end of the day I can certainly still see it staining my lips, without having a drying affect. As an eyeliner I have only used it on my lower lash line to give that vampy, sultry smoke out. I can’t honestly say that made it to the end of the night. I put on my makeup for testing when I go to work at 8 am, and don’t look at it again to see how it faired until late in the evening.